It began here, in the past. In what was once the soul of Europe’s blossoming automotive culture: Italy. Throughout the first half of the 20th century, the automobile and its development had captivated the Americans, the French, the Germans, and British, but it had consumed the Italians. Driving and racing became such a national obsession that during The Great Depression, the Italian government went so far as to purchase shares of Alfa Romeo to ensure the company’s solvency! It was a matter of national pride – Alfa Romeo was Italy’s Motorsports champion – four-time winner of the Vingt-Quatre Heures du Mans, and the victors in 10 consecutive Mille Miglia challenges. Like a fine pair of Italian leather shoes, a superbly crafted handbag, a piece of 18-karat gold jewelry, or a tailored suit, the Italians do everything with passion. It comes as no surprise then that Italians have always been very passionate about their cars, and more importantly, their design. Italian coachwork is itself a historical treatise into nearly 100 years of design evolution that encompasses the work of such masters as Farina, Bertone, Castagna, Dante Giacosa, Sergio Scaglietti, Mario Boano, Pininfarina, Carrozzeria Touring Superleggera, Zagato, Vignale, Ghia (which would play a great role in Chrysler’s postwar design efforts), and Giorgetto Giugiaro. 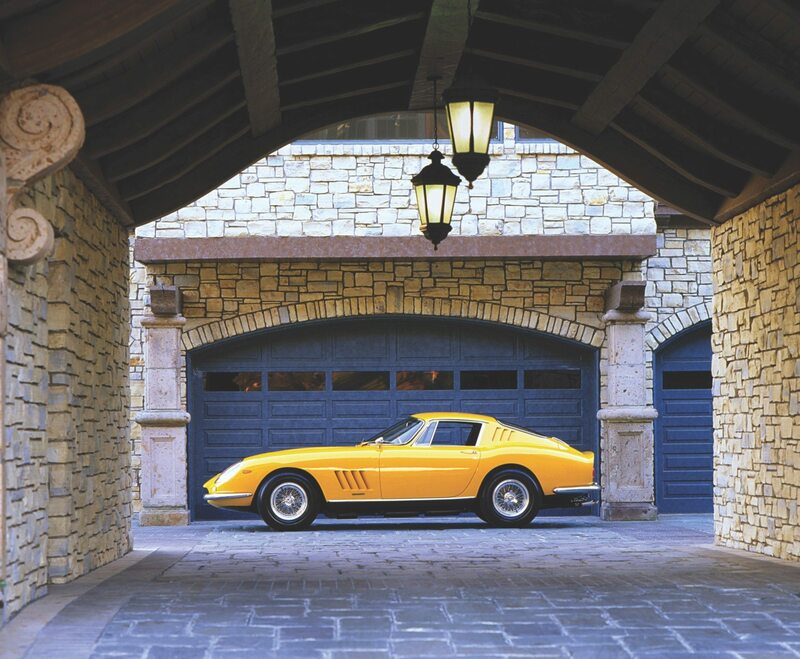 The Italians have managed to preserve the art of coachbuilding since its beginning, maintaining, even to this day, independent coach designers to put forth ideas both as concepts and very expensive handcrafted bodies. No where else in the world does this exist so closely to its origins. In the early 1900s, whether it was a handcrafted body for an affordable 1912 Fiat Zero, a four-passenger convertible that became a European favorite; a classic 1929 Isotta Fraschini Tipo 8A bodied by Castagna; or a sporty Alfa Romeo with coachwork by Farina, no less effort was spared in designing a body that evoked a sense of emotion from its owners. 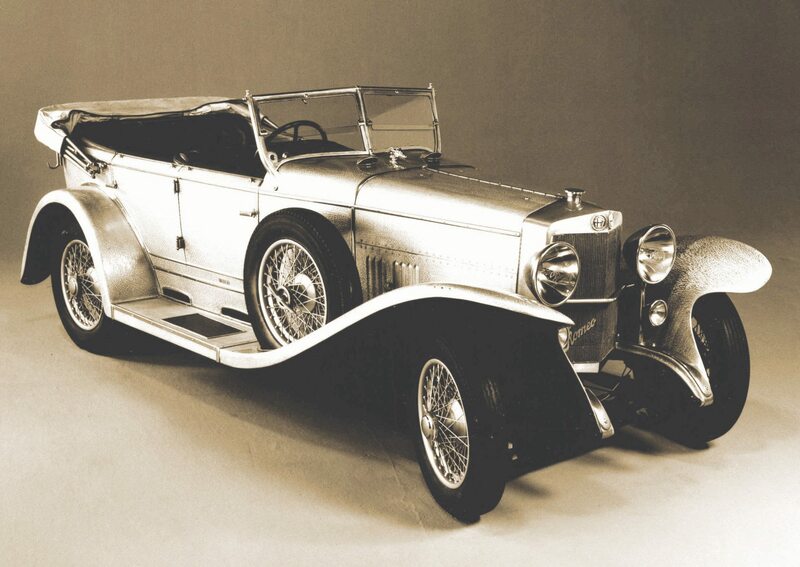 One of Castagna’s great masterpieces was this 1927 Mercedes- Benz Model K Town Car bodied for Millionaire Oklahoma oilman Charles Murray. Murray and his wife Marion Downs paid an astounding $28,000 for the car. While they may have made their fortune pumping oil in Oklahoma and selling land in North Dakota, the couple spent most of their time living in New York City, where they resided in the penthouse of the Waldorf-Astoria until the early 1930s. Their chauffeur driven Castagna Mercedes was a common sight in NYC. During the early period of automotive design and manufacturing, vehicles throughout the world had bodies designed and crafted by one firm and joined with frames and power units produced by another entity. As the world became more heavily industrialized in the 1920s and 1930s, most manufacturers combined the two functions into one highly-mechanized operation, particularly in the United States. This also had an influence on Italian design, though to a much lesser extent prior to World War II. Italian coachwork often required changes beneath the handcrafted skin as well, and numerous evolutions in frame and chassis design had their origins in the ateliers of Italy’s leading designers. 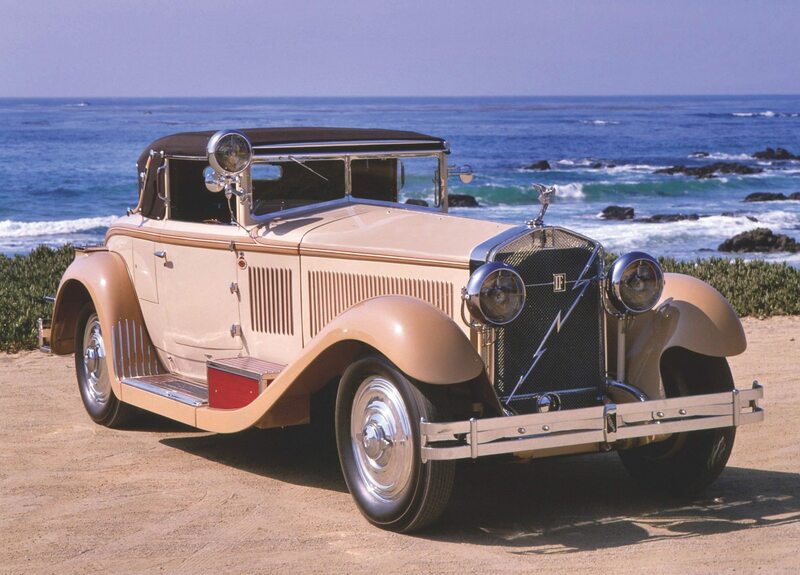 Another great classic bodied by Castagna was this 1930 Isotta Fraschini Tipo 8A SS. 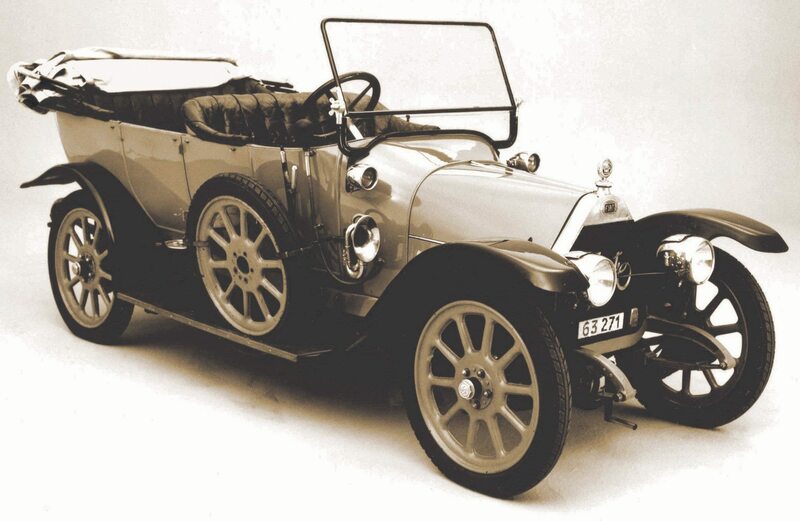 As far back as 1913, Lancia & C. had pioneered the use of electric starters and electric lights in Europe, introducing the first European car with a standardized electrical system. Lancia also developed a form of unibody construction back in 1922 – the touchstone of contemporary automotive manufacturing adopted by automakers the world over in the late 1940s. 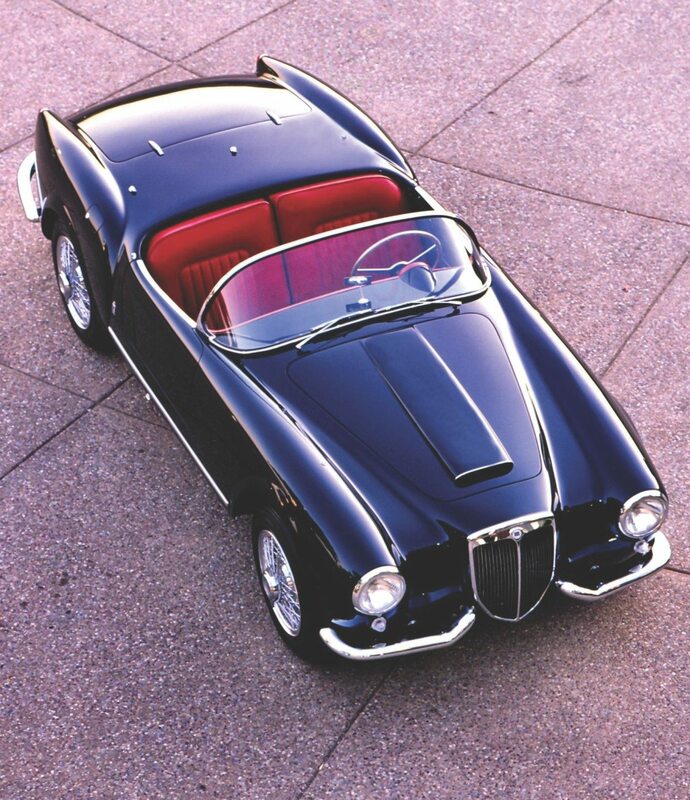 Lancia was second only to American Howard Marmon in pioneering the design. The Lancia engineering department frequently applied for patents to cover new developments in design and manufacturing. In June 1927, Lancia registered a patent for the new electric welding process developed to assemble box section chassis. 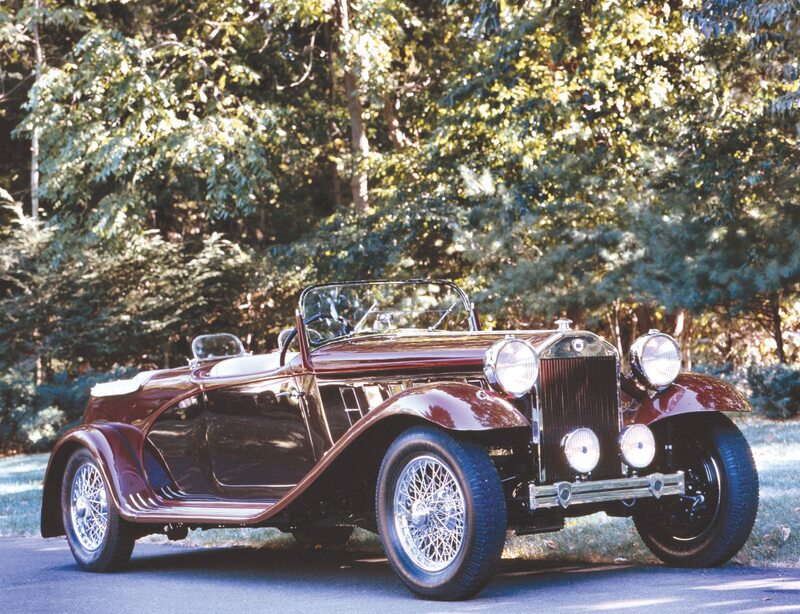 Throughout the 1930s Lancia built a variety of automobiles featuring technological advances, which led up to the 1937 Aprilia, Vincenzo Lancia’s last design; a heart attack in February 1937 claimed Lancia before the new model was put into production. It has since been hailed by automotive authorities as the most advanced automobile built by any European firm in the 1930s. Following Vincenzo’s death, management was briefly taken over by Manlio Gracco and soon after, Vincenzo’s son, Gianni Lancia, who remained at the head of the firm until 1955. This sporty 1933 Lancia Dilambda Viotti Torpedo not only looked spectacular with its Castagna body but was one of the most innovative cars of its time. This model was powered by a 24-degree OHV pushrod V8. The Dilambda was introduced in 1928 and remained in production until 1933. In the early postwar era, Lancia, like so many Italian automakers, was anxious to produce an all-new model. It would take five years, however, until the company was able to introduce its first completely new car, the Aurelia. 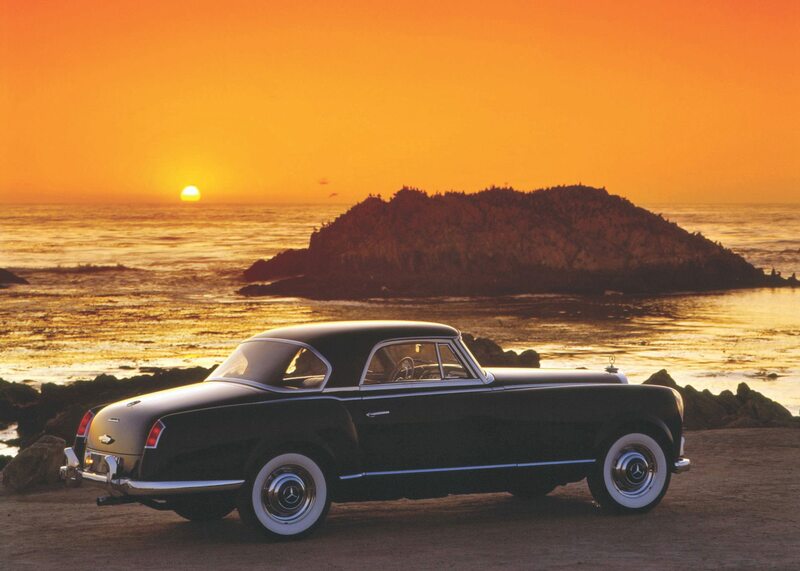 Designed by Gianni and former Alfa Romeo engineer, Vittorio Jano, the Aurelia made its debut in 1950. The new model was powered by the world’s first production V6, developed by Francesco De Virgillo, who joined Lancia in 1939. The 1754cc overhead-valve V6 was coupled to a 4-speed gearbox integral with the rear axle. Like so many Lancia models before it, the Aurelia was teeming with new innovations: the V6; the first use of a semi-trailing arm system for the rear suspension; a rear clutch and aluminum transaxle with inboard brakes; an aerodynamic pillarless unibody; and the first use of Michelin X radial tires as standard equipment. The Pinin Farina designed Cisitalia 202 is regarded as one of the most important and influential automotive designs of the 20th century, establishing an entirely new construct for sports car design. Looking at this car it is still difficult to believe it was penned by Battista Pinin Farina in 1947. The Cisitalia is so important to design that one is in the permanent collection of the NewYork Museum of Modern Art (MOMA). Another legendary Italian design was the use of a thin metal framework, rather than wood, under the exterior body panels. This was Carrozzeria Touring of Milan’s Superleggera design. One of Italy’s oldest design houses, Touring was established in 1926 by Carlo Felice Bianchi Anderloni, renowned for designing and building some of the most exciting sports cars of the 1930s. Anderloni had worked with Enzo Ferrari back in the years when Ferrari had managed the Scuderia for Alfa Romeo, and Anderloni had designed and produced the majority of bodies for the Alfa factory’s racing cars. The Superleggera design would become a hallmark of Ferrari’s first sports racing cars in the early post-WWII era, cars that would set the standard not only for their performance on road and track but for styling that would influence sports car design well into the 1960s and early 1970s. The large oval grille that was to become Ferrari’s trademark design for nearly two decades began with Touring’s design for the Tipo 166 Mille Miglia Touring Barchetta in 1949. All of the Barchetta bodies, of which Touring built some 46 examples, shared the same sleek, swept-back lines, long hood, short rear deck, and aggressively shaped oval grille. The Barchetta’s visceral styling would also inspire the Tojiero Specials in England, and the AC Ace and AC Bristol, which evolved into the Shelby Cobras of the 1960s. The very words used to describe the 166 MM Barchettas “long hood, short rear deck” resonated throughout the world of automotive design, from England to Germany, to France, and to Ford Motor Company in the early 1960s. Those very words would be used by Lee Iacocca to describe the benchmark 1964-1/2 Ford Mustang. Drawing its design heritage from the Cisitalia, Pinin Farina’s design for the 1947 Alfa Romeo 6C 2500 was among the first Italian sports cars to go into production after World War II. 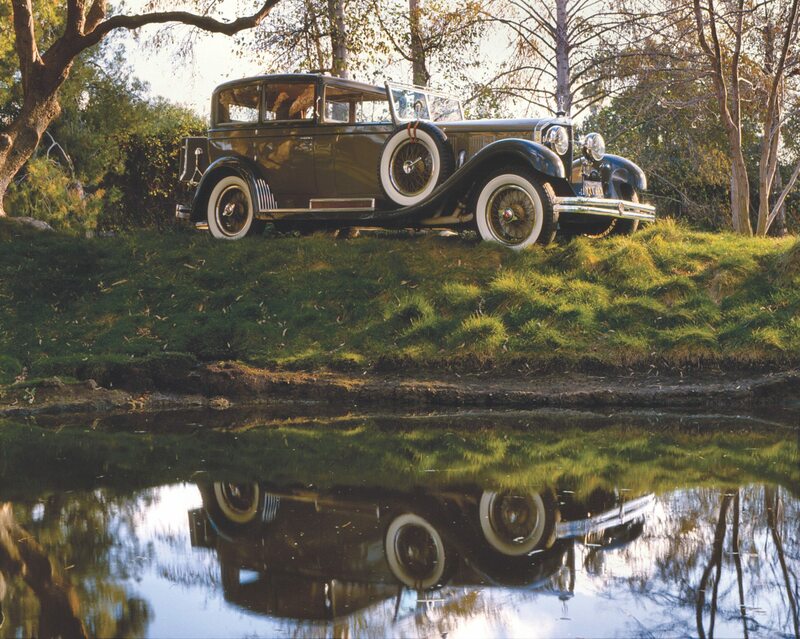 The superbly styled coachwork earned the 6C 2500 the dual honors of being one of the last cars to be recognized by the Classic Car Club of America, and one of the first to be honored by the Milestone Car Society as a postwar collectable. Subtle in its design, most Alfa Romeo 6C 2500s had only minor exterior embellishments, even the bumpers, as on this 1947 example, were little more than metal strips. Stabilimenti Farina, which opened its doors in 1905, was one of the oldest body builders in Turin. From the house of Farina came talented designers such as Mario Boano, Giovanni Michelotti, and of course, the youngest Farina brother, Battista “Pinin” Farina, who established his own atelier in 1930. 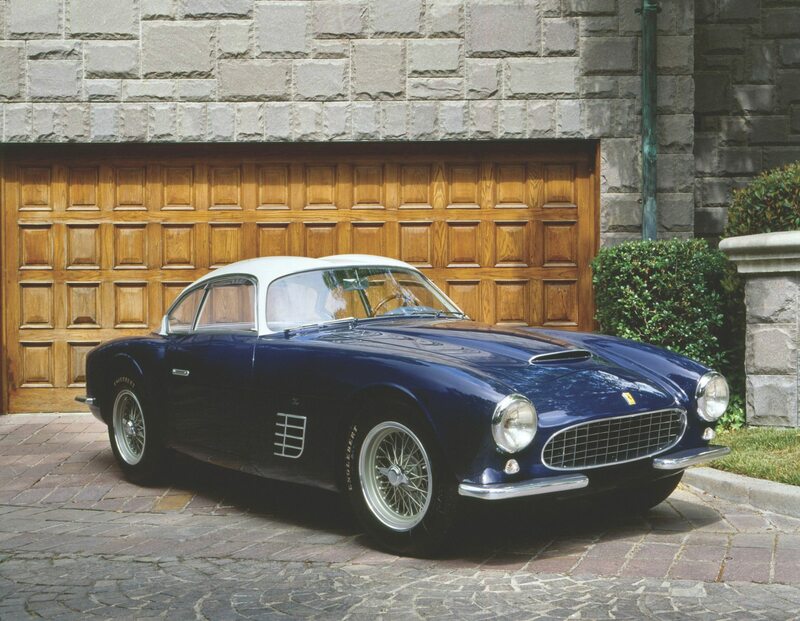 Two decades later, Pinin Farina took over the work of Stabilimenti Farina and, with his son Sergio, began working closely with Maranello to design coachwork equal to the expectations of Ferrari’s wealthy clientele. 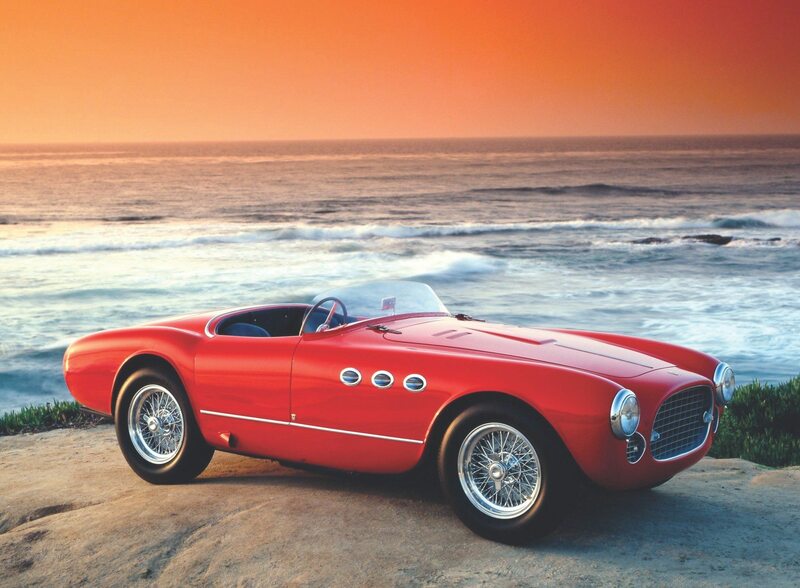 Carrozzeria Vignale designed some of the most exhilarating sports cars and sports racers of the early 1950s. The Ferrari Tipo 225 S was by far the most exciting open car of its day. A listing of serial numbers shows that about 20 were built during the model’s single year of production, 1952, and that all but one had coachwork by Vignale: twelve Spyder and seven Berlinetta bodies. Of those, around half- a-dozen had the Tuboscocca form of chassis-frame with double outer tubes, one above the other, joined by a truss like arrangement, with additional tubing used to create a skeleton outline of the body shape, to which hand-formed panels could be fitted. 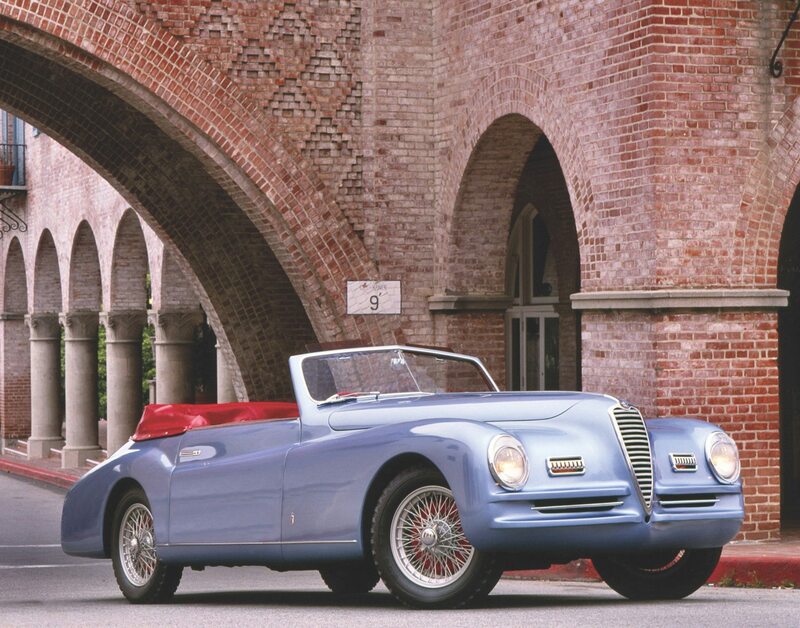 Among the last models to be built under the Lancia family banner was the B24S Spider Aurelia. The B24 utilized integral chassis-body construction. Pinin Farina created the sleek bodywork for the car but retained the familiar shield-shaped Lancia radiator grille, giving the car a dynamic front appearance. The B24 Spider was primarily intended for export sale in the United States. Like Ferrari, the Lancia was an expensive car with exquisite attention to detail, luxurious leather upholstery and a coachbuilt body. The price when new ranged from $5,475 to $7,000 for a fully accessorized 2500GT, more than twice that of a new Corvette in 1955. The reason the cars were so expensive was that each had a hand-beaten, hand-welded unibody! Over a quarter of a century ago the author sat down for the first of many interviews over the years with Sergio Pininfarina. In this first meeting we discussed the evolution of Farina into Pinin Farina and eventually the world renowned Carrozzeria Pininfarina, the principal design house for Ferrari. 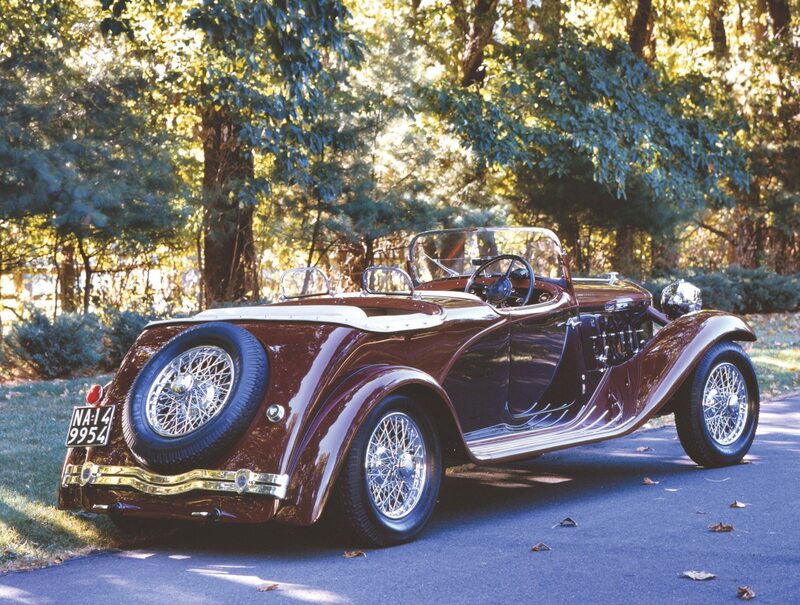 Battista was the youngest of the Farina brothers and learned the coachbuilder’s craft from his family, eventually wanting to go out on his own and pursue his own ideas. In later years he took over all of the work from his older brothers and Stabilimenti Farina, creating the foundation for what would become the world renowned Carrozzeria Pininfarina, the name eventually being changed to a one word contraction of his father’s nickname “Pinin” and the family surname. The first of two designs created by Pinin Farina on 1950’s Mercedes-Benz 300 Series chassis, the 1955 300 b was a long wheelbase, four-passenger sports coupe. 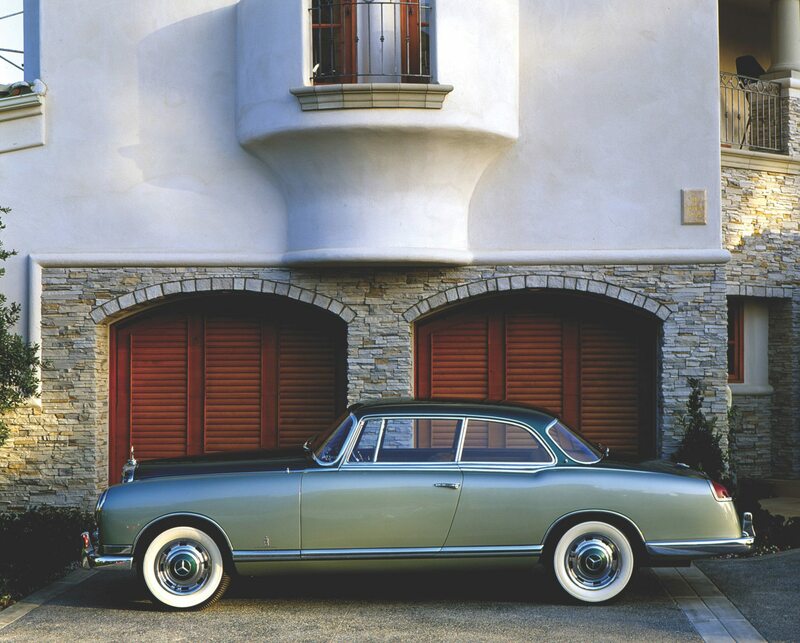 In profile the 300 b Pinin Farina looked similar to the Bentley Continental, but the overall look was very Italian. The second study done on a 300 Sc chassis in 1956 looks remarkably similar to what Mercedes-Benz would be doing within a year and well into the early 1960s. There are so many cars in this 1955 Pinin Farina designed styling exercise for Lancia that you can see elements of everything from the Green Hornet’s Black Beauty to a late 1990’s Cadillac. The Lancia Florida moved Italian automotive styling forward into the coming decade and is regarded as one of the finest designs ever produced in Italy. In 1949, at the famed Geneva Salon, the very first Ferrari convertible made its debut. This was the first time a Ferrari had been exhibited to the public outside of Italy. This was a car designed by Farina. And while its individual influence was not great, it was the beginning of Ferrari as a manufacturer of sports cars meant as much for the open road as the closed road course. The Pinin Farina signature could be found on so many cars that changed automobile design worldwide that entire books have been devoted to the subject. But the short list would have to include the late 1940’s Cisitalia 202, which literally rewrote the book on sports car body design; the postwar Alfa Romeo 6C 2500; nearly all of Ferrari’s early road cars, the groundbreaking 1950’s Nash-Healey sports car, the 1959-1960 Pininfarina bodied Cadillac Eldorado Brougham, and the custom-bodied 1989-1993 Cadillac Allante, among others. In the end, however, Sergio Pininfarina and the historic atelier founded by his father would become the master of Enzo Ferrari’s coachwork designs, setting trend after trend, decade after decade, right up to the present day with Carrozzeria Pininfarina designing the latest 21st century Ferrari models. 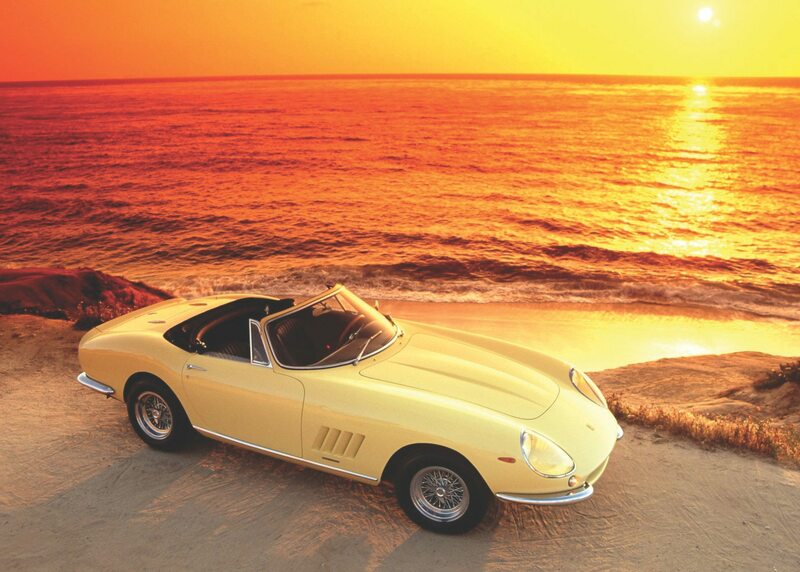 As perfect as the 275 GTB/4 Berlinetta was, American Ferrari importer Luigi Chinetti wanted a spyder version. When Enzo Ferrari said no, Chinetti went ahead and had nine Berlinettas re-bodied in Italy by Sergio Scaglietti. The cars came to be known as N.A.R.T. Spyders, for Chinetti’s North American Racing Team. The nine inspired many others to have the tops loped off their Berlinettas in order to own the most prized of all non-factory Ferrari designs ever built. Sergio Pininfarina threw the Ferrari play book out the window when he designed the Daytona Coupe. 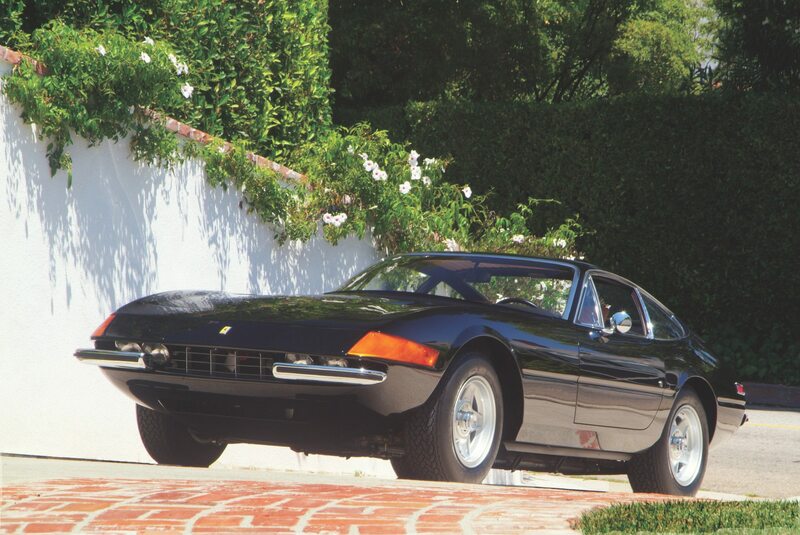 Ferrari and Pininfarina introduced the world to the all-new 365 GTB/4 Daytona at the Paris Motor Show in October 1968. At that time it was the most expensive (at just under $20,000) and fastest (the factory claim of 174mph was verified, within 1mph, in a 1970 Road & Track test) road car in the company’s history. Pininfarina had, in one bold sweep of the designer’s pen, reinvented the front end of a Ferrari, doing away with conventional fender-mounted headlights, exposed windshield wipers, and slimming the roofline into an almost seamless construction running from the windshield to the rear deck. The influences of Italian design over the last century have been reflected in cars that were not always of Italian manufacture. Several one-off designs by Pininfarina were created on Mercedes-Benz chassis. 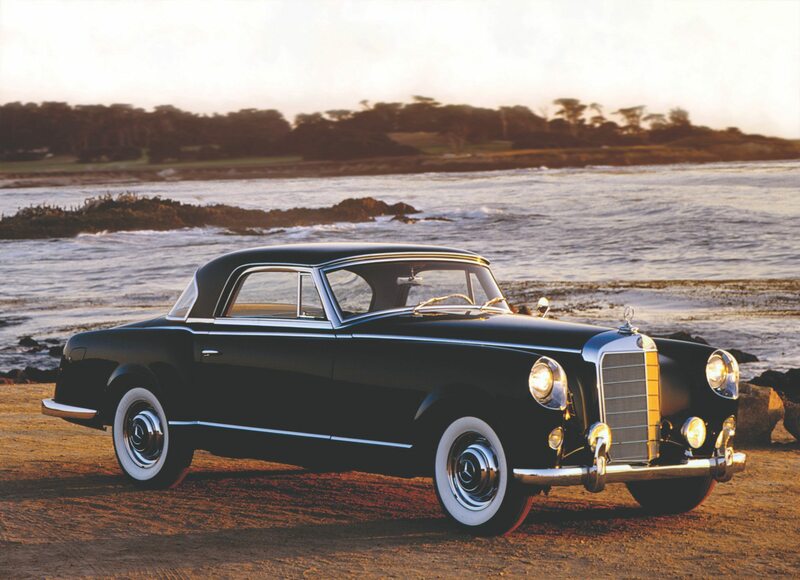 The two most significant being the 1955 Mercedes 300 b coupe and 1956 Mercedes 300 Sc coupe, both of which established styling cues that would soon appear on production Mercedes-Benz models in the 1950s and early 1960s. 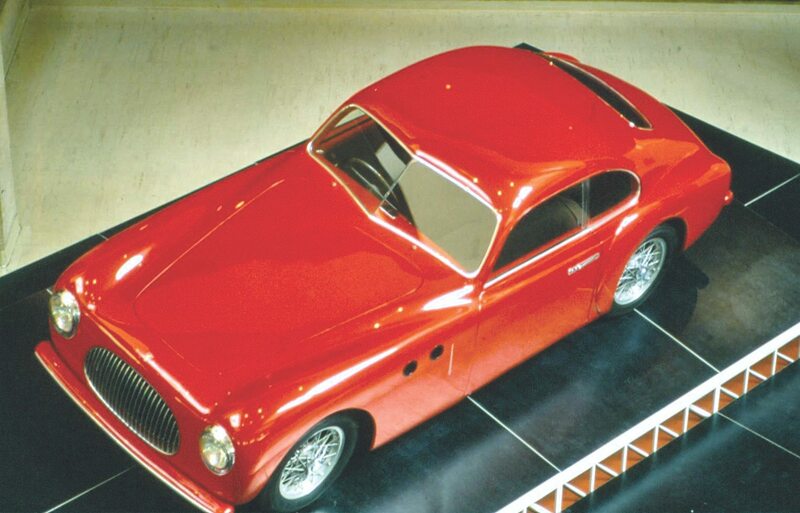 An equally legendary contemporary of Pinin Farina, Carrozzeria Zagato, had been producing competition coachwork for Italian automakers since the 1920s, having built its reputation with Alfa Romeo, designing the bodies for the great 6C 1500, 1750, and 8C 2300. Today, many of Alfa Romeo’s greatest cars, including the coveted TZ1 and TZ2 of the 1960s, bear the signature of Ugo Zagato. The Zagato name could also be found on Fiats – the 750, 1100 EZ, 8V Otto Vu, and Abarth – on Lancia, Maserati, Ferrari, and beginning in the 1960s, on the British-built Aston Martin DB models. In fact, it is difficult to find any Italian marque that has not had a model bodied by Zagato at some point in time. 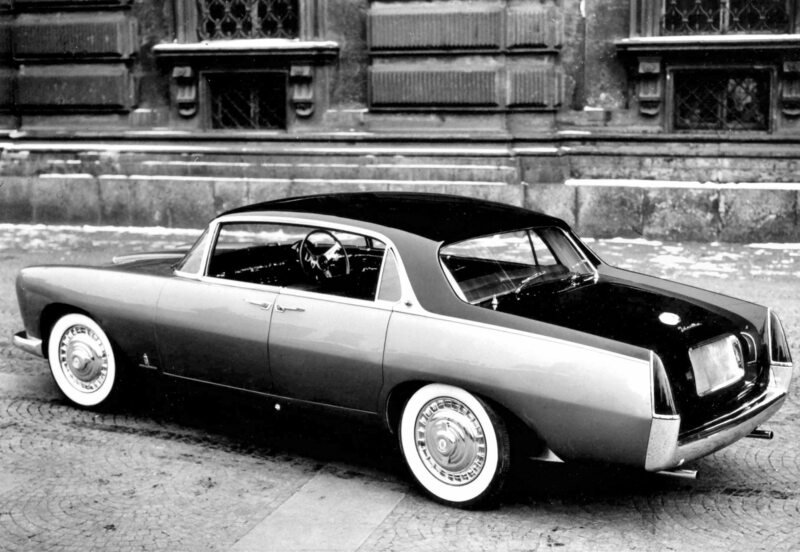 Carrozzeria Ghia in Turin became Chrysler designer Virgil Exner’s creative conscience in the 1950s producing exotic Idea Cars and later in the 1950s the Chrysler-powered Dual Ghias, and the regal 1957-1960 Chrysler Crown Imperial limousines. From the magnificent designs of Castagna in the 1920s and 1930s, to the progression in sports car styling encouraged by the work of Battista Pinin Farina and his son Sergio, to the innovations of Lancia, and the role of Italian stylists in American design throughout the 1950s, Italy’s artisan coachbuilders have had a remarkable influence on automotive styling for nearly a century. 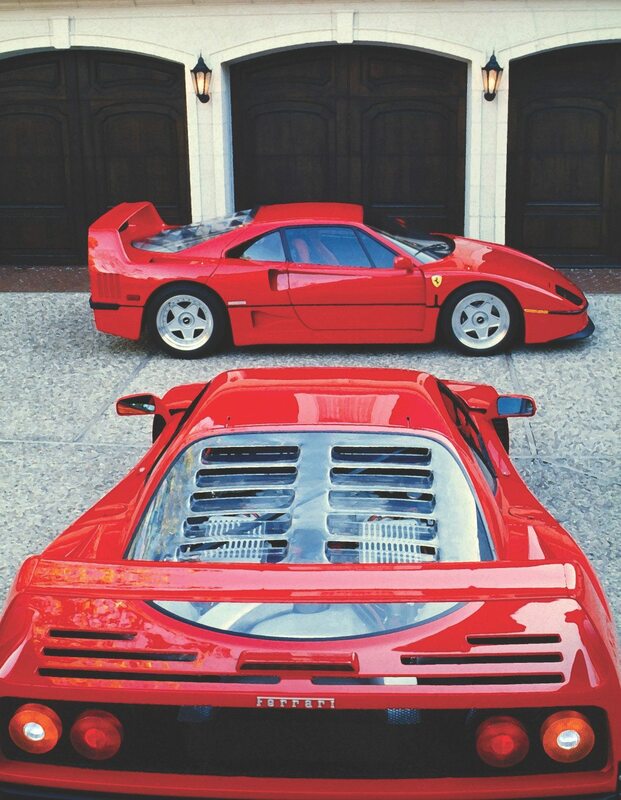 If you have an Italian exotic or another collectible you’d like to insure with us, let us show you how we are more than just another collector vehicle insurance company. We want to protect your passion! Click below for an online quote, or give us a call at 800.678.5173.